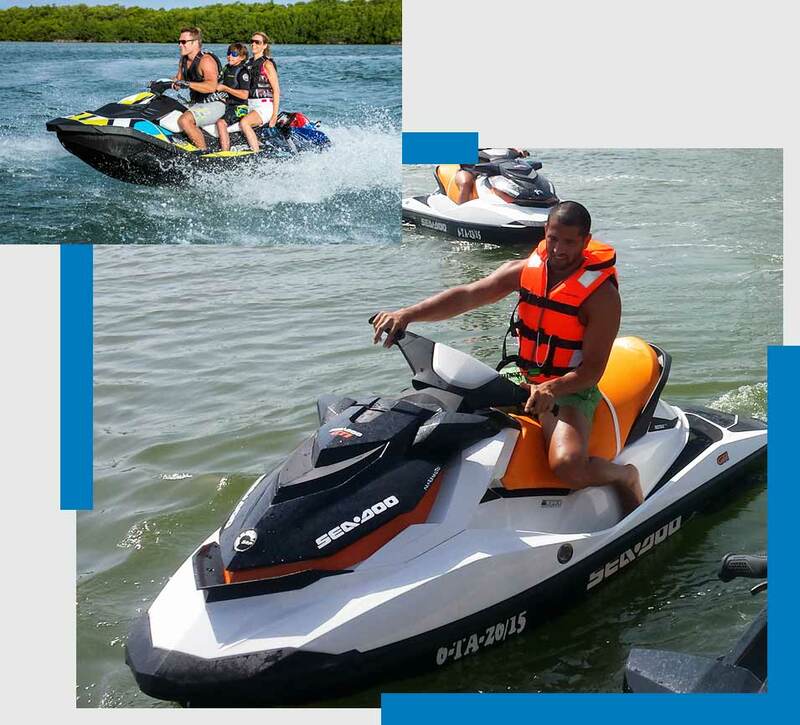 The Jet Ski rides just of the beaches of Guardamar allow you to enjoy the sea in the most fun and exciting way. You cannot miss it. Without having a license or experience, come spend a little time raffling the waves and admiring our coast from the sea. Under the watchful eye of our professional monitor and from the Port Marina of the Dunes of Guardamar, in half an hour or an hour, as you like, come and spend some time on our 11 km of beach. Your ride can be individual or with a companion. You can also go with an extra child. Check the availability calendar and select the date to make your reservation. Minimum age to drive Jet Ski: 18 years. Possibility of two adults and one child by Jet Ski. Children free maximum 9 years as companions. Two possible timetables for the Tour. Duration of the Tour of 30 or 60 minutes. Maximum 3 bikes per Tour the time zone.